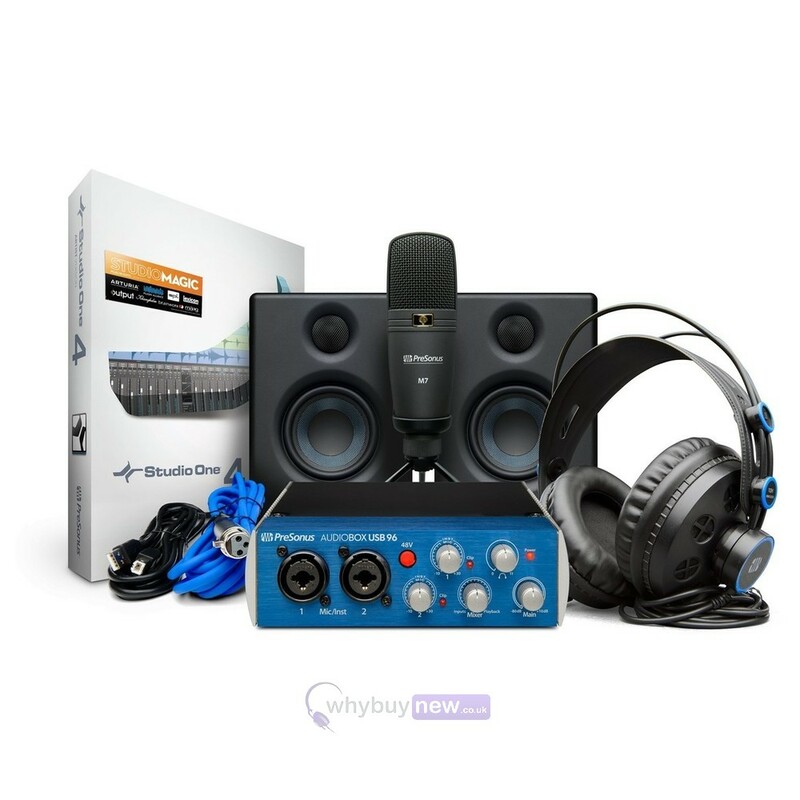 We bring you the PreSonus AudioBox Studio Ultimate Bundle; a full studio production package that gives you everything you need to record, listen to and rework your audio whether you're a musician, singer, podcaster, YouTuber, or simply want to record professional-quality audio at an affordable price. 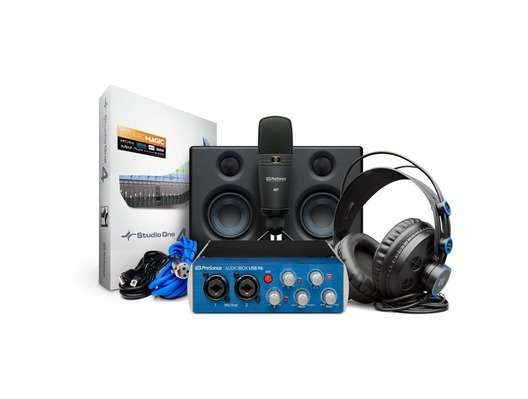 This brilliant package from PreSonus is based around their beginner-friendly AudioBox USB 96 audio interface and also includes a pair of PreSonus Eris 3.5 active studio monitors, the PreSonus M7 condenser microphone, the PreSonus HD7 professional headphones, and the Studio One Artist music production software. 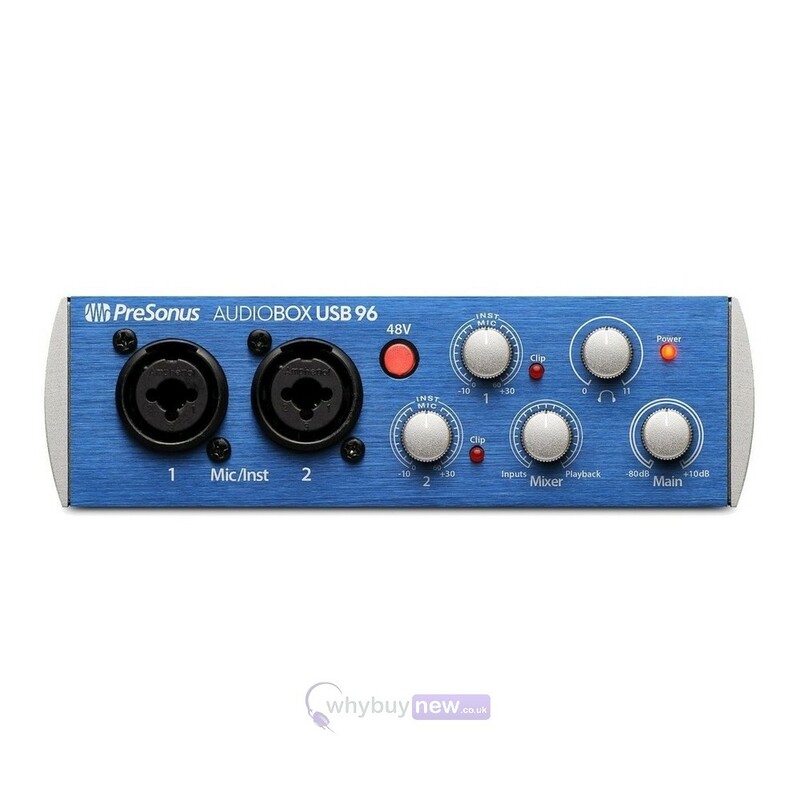 The PreSonus Audio Box Ultimate Bundle gives you a comprehensive introduction to professional studio recording and would make a fantastic investment for anyone looking to make a career in audio recording. Everything you need to record and produce and beyond. 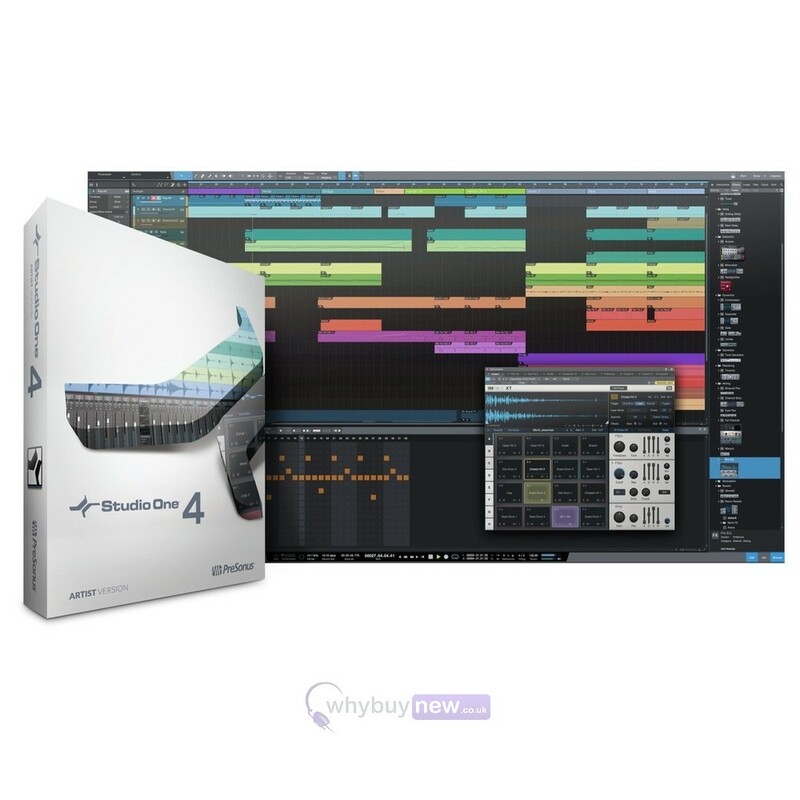 Produce and record like a pro with a single-purchase bundle! 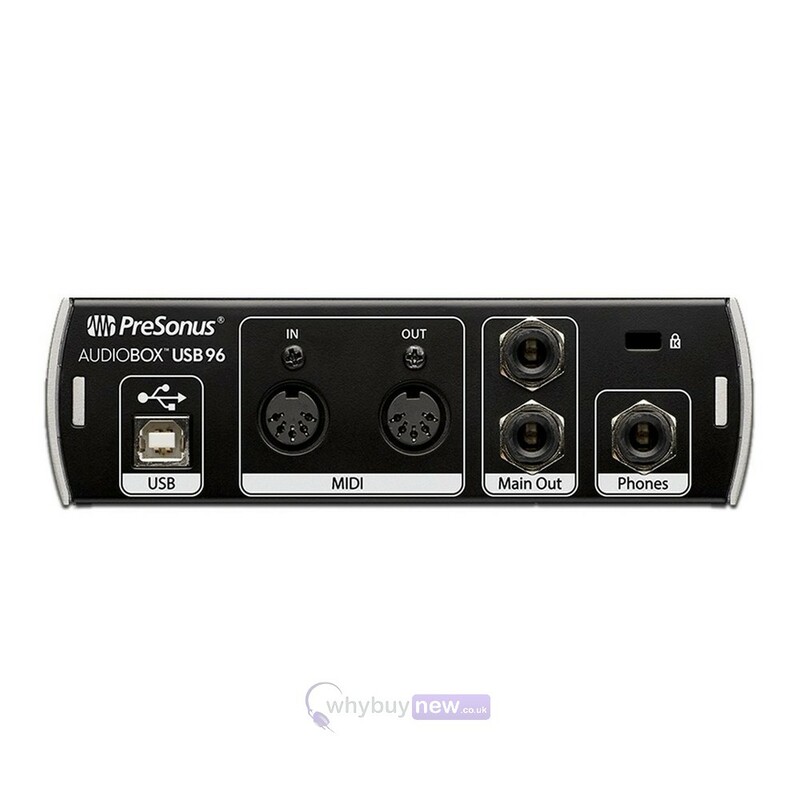 The core of this package is the AudioBox USB 96 audio/MIDI interface and award-winning Studio One recording and production software. You also get PreSonus' best-selling Eris E3.5 Active Media Reference Monitors and HD7 headphones, allowing you to monitor your work loud and proud or quietly to yourself. Lastly, the M7 dynamic microphone is a superior all-purpose condenser mic ideal for guitar and vocalsand we even included all the necessary cables and a desktop mic stand. AudioBox USB 96: Simple, reliable, and portable. The AudioBox USB 96 is the heart of the AudioBox Studio Ultimate Bundle. This simple, handy little audio/MIDI interface has just the right features for basic recording needs, including two combo mic/instrument inputs and zero-latency monitoring, so you can simply plug in and start recording right away. 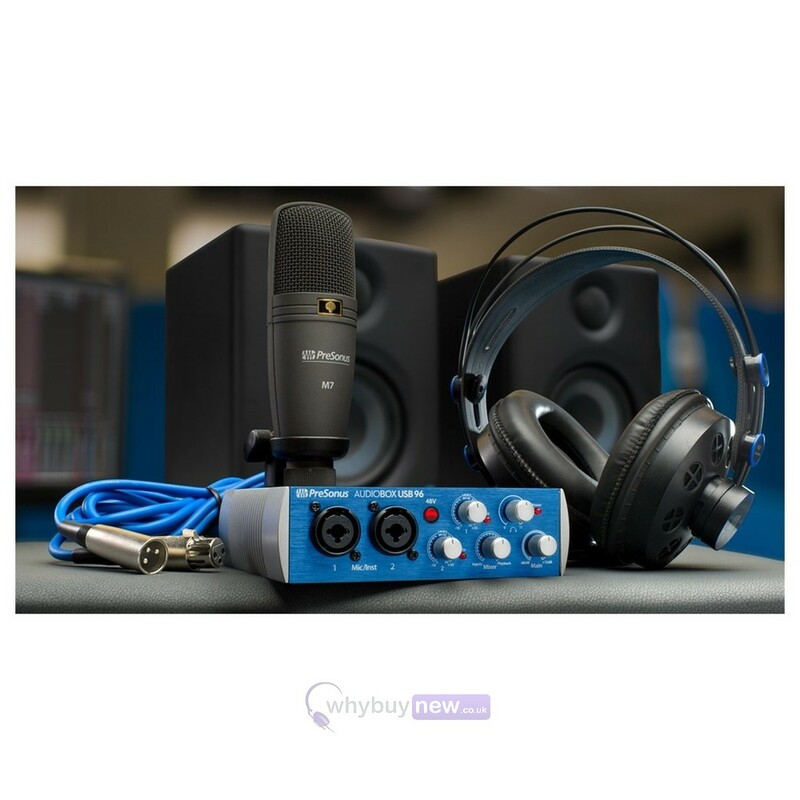 Bus-powered, built to travel, compatible with most recording software for Mac and Windows, and equipped with high-performance microphone preamplifiers and professional-quality, 24-bit, 96 kHz converters, the AudioBox USB 96 makes high-definition recording easy. Studio One Artist makes recording a breeze. No other entry-level recording and production software is this easy to learn and use, yet is capable of creating studio-quality output. Studio One Artist lets you work quickly and stay focused on your inspiration, offers unlimited tracks and plug-ins, and delivers features not normally found in entry-level DAWs. Access powerful editing tools without wading through menus. Load and save audio clips, MIDI files, and effects by drag-and-drop. Studio One makes it easy! 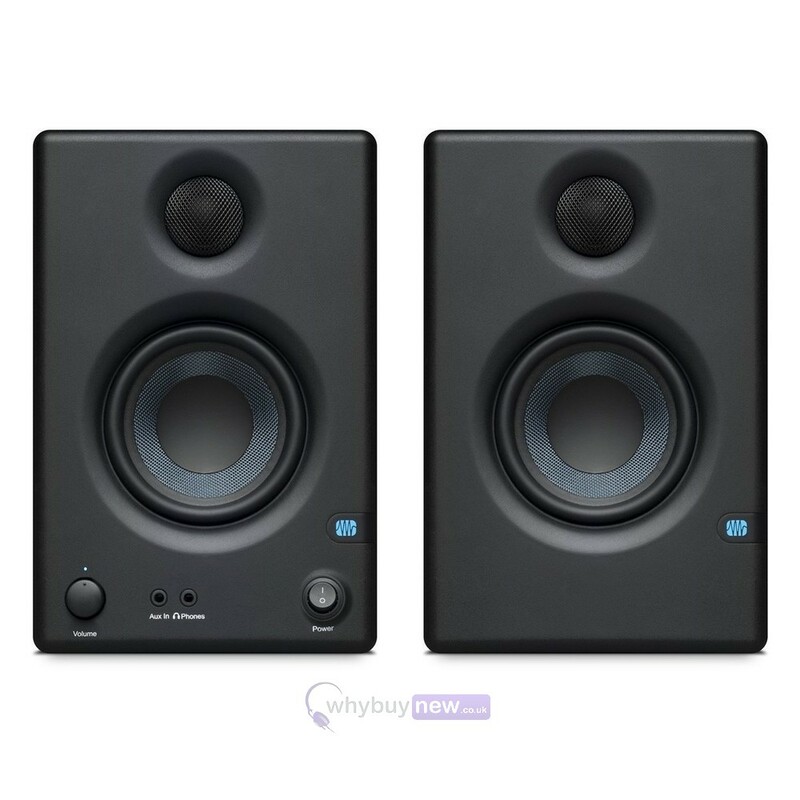 PreSonus Eris-series studio monitors are used worldwide by audio engineers who need to hear every detail of their recordings. Eris E3.5 employs the same technology as the larger Eris models to deliver studio-quality sound, with a smooth and accurate frequency response. Theyre compact enough to fit almost anywhere, but still offer robust I/Oyou can connect them to nearly anything. Capture every nuance with the M7 condenser microphone. Get your mic collection off to a good start with the M7 large-diaphragm condenser microphone and desktop stand. Condenser mics are the overwhelming choice of recording studio professionals, enabling you to capture musical details, harmonics, and subtle nuances that would get lost with dynamic mics. 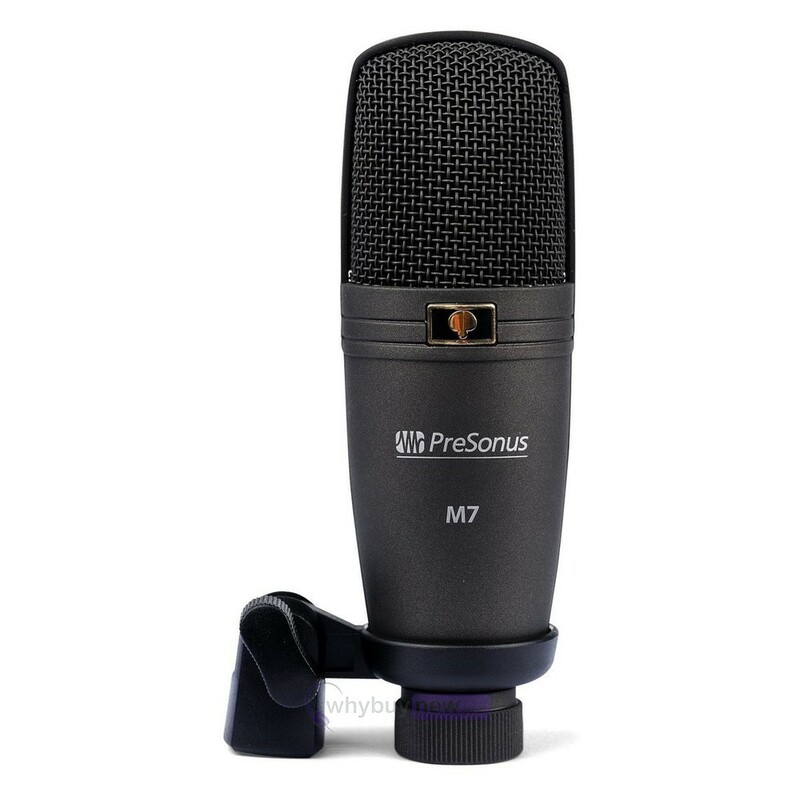 Large-diaphragm condenser microphones, like the M7, tend to "warm up" a sound, making them the go-to microphone for recording vocals and a wide range of instruments. Hear every detail with HD7 professional headphones. PreSonus' high-definition HD7 headphones take advantage of a patented, semi-open sound chamber to deliver exceptionally deep low frequencies with a balanced and yet powerful bass punch. Accurate midrange and extended treble response let you pick out the fine details of a mix or track. 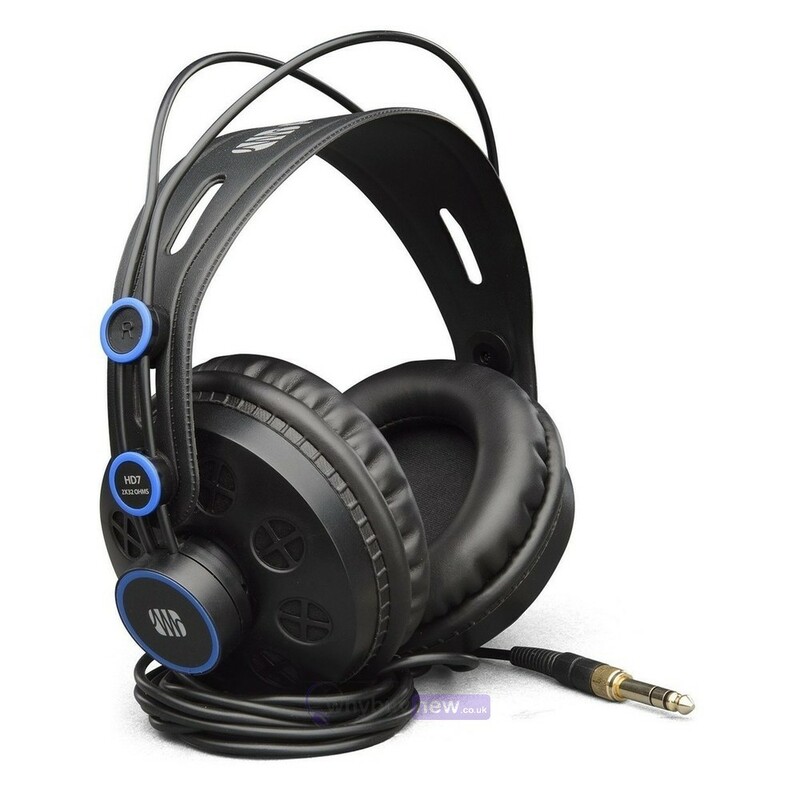 The lightweight, ergonomic design adjusts to any head size, offering a comfortable listening experience during long recording sessions. Includes Studio Magic Plug-in Suite. This suite of plug-ins adds a wealth of fresh sounds and effects to Studio One. Cherry-picked from the first names in virtual instruments and effects, each plug-in brings a different flavor of practical magic to your songs. These plug-ins aren't gimmicky one-trick ponies - these are real-deal workhorses that you'll rely on for countless mixes. Powered via USB bus - no wall wart! The minimum system requirements may differ for DAWs other than Studio One. Please check the requirements for your DAW of choice with its manufacturer. Note that the speed of your processor, amount of RAM and size and speed of your hard drive will greatly affect the overall performance of your recording system.